IdentityServer has two fundamental “monitoring” facilities : development-time logging and production-time eventing. The original docs are here. Logging is for developers – in fact – when I start a new IdentityServer3 project, that’s the first thing I configure. 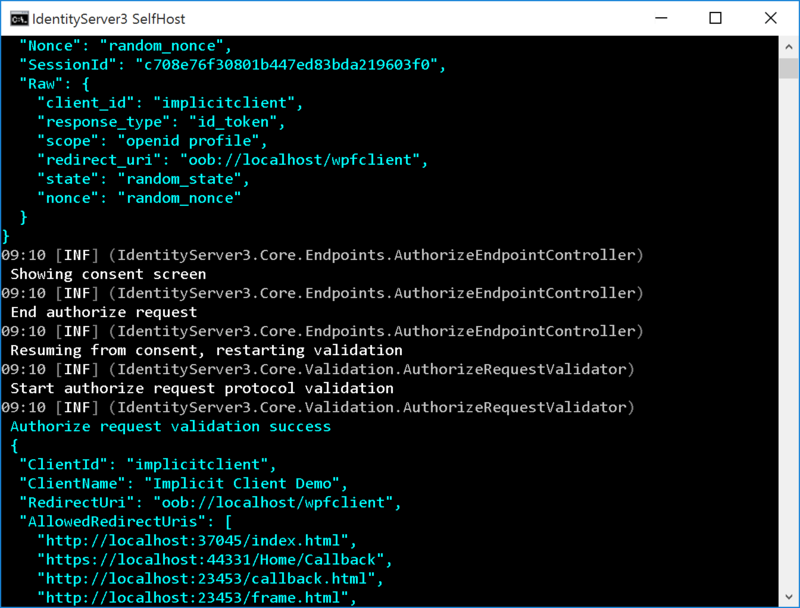 For security reasons (and to be spec compliant) the error messages in IdentityServer are pretty vague – logging gives you a detailed inside view of what’s really going on. We use the fabulous LibLog library for logging, which means we support logging frameworks like SeriLog, NLog, Log4Net and others out of the box. 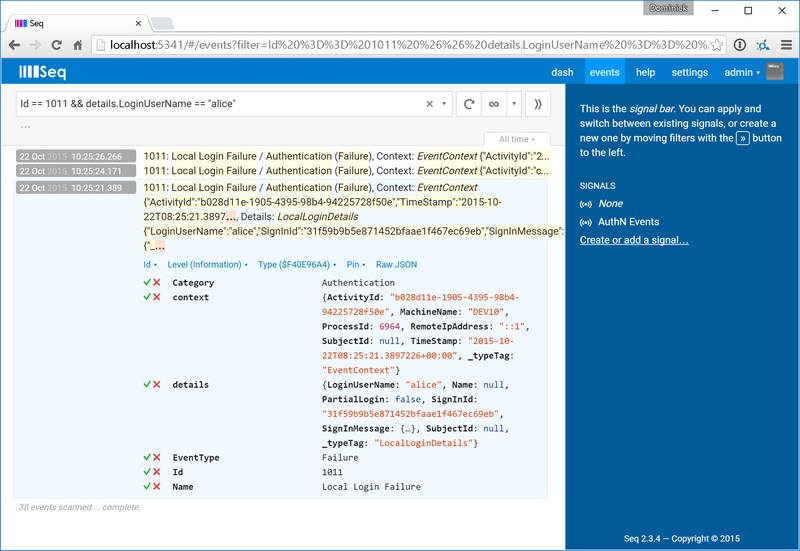 If you want to directly connect to a custom logging framework – we have a sample for that as well. Depending on how much logging sources you enable, the logs will contain sensitive data like passwords, claims and tokens. This is where eventing comes in. Events are more suitable for production scenarios where you want more high level – but also queryable – data. This includes typical events like login failed/success, errors etc… to connect IdentityServer to an event processing system (ELK being the most popular), you would implement the IEventService interface. For this post I want to show you how to connect IdentityServer to Serilog for logging and a local Seq instance for querying and parsing events. That’s it. LibLog will detect that Serilog has been configured in the host and will start piping all IdentityServer logging to it. Using the Seq console, you can now query the events – e.g. for failed logons, IP addresses etc..
For future there will be a WebHooks implementation? no plans for that currently. Hi! I’m just taking my first steps after some Pluralsight courses, and I must say, what a awesome project you have here :). Thank you for that. There’s one missing piece of information: Seems like no events are delivered to IEventService until you configure EventsOptions, which has all flags set to false by default. good point! thanks for mentioning it. Splunk or Seq is free ? full source code sample real app using good patterns&practices? Absolutely. Feel free to create them and let us know so we can link to it from our docs.